Styling your hair for an interview is equally as important. If you do not style your hair, not only is it an unfortunate missed opportunity to show your originality, imagination and skills but you are also not saying much about your passion for styling hair. You are your own walking advertisement. Avoid styles that lack creativity such as pony tails and plain buns. Statistically speaking, it matters not in the hiring process if you, yourself have luscious long hair or a short pixie cut. What matters, is that you have your own hair styled and that it shows a level of creativity. Your portfolio will show your work and all of the other skills that you have and hairstyles you have done. Keep your make up neutral light and your accessories limited to one per area. This means one necklace, one ring on each hand and one earring in each ear. You will have plenty of time to wear bolder colors and more accessories but the interview is not the time to do that. In large salons, it is rarely the owner who does the interviewing. They usually have managers that do that. Remember that once the interview is over and you are gone, the owner or manager (perhaps both) will probably make some inquiries to the other stylists. If they do, they will most certainly ask what they thought of you. You want to make sure that you greet the potential co-workers with a warm smile and are friendly in any light conversation that may take place with them. 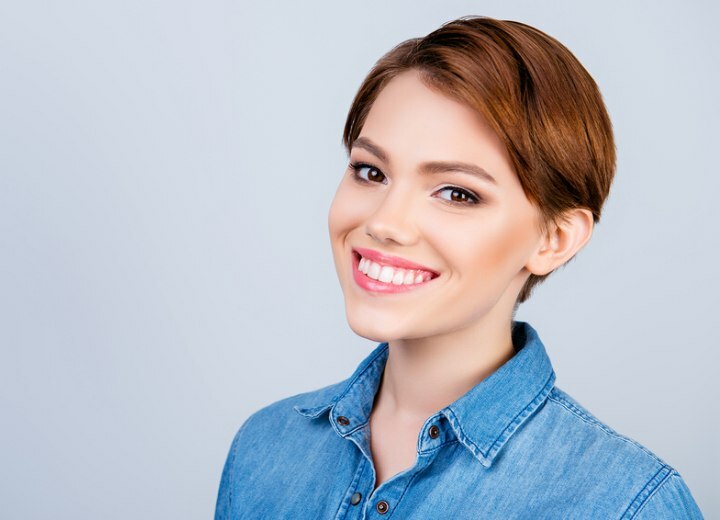 More than likely, you will be greeted by a stylist or receptionist as soon as you walk in to the salon, so be sure to make that moment count. Now that we have covered what you should do, let’s discuss some of the do not’s. Do not bring your purse and cell phone into the interview with you. Your hands will already be full with your portfolio and you will need a free hand to give a proper handshake. If you must bring your cell phone, make sure to silence it. Do not hang out in the lobby on your cell phone. With today’s generation of smart phones, people seem to always be on their phones and you do not want to give that impression to your future boss. Do not wear anything too flashy, too short or too tight. You want your professionalism and skill set to be on display not your attire or physical traits. Do not fabricate your skill set (they will find out as soon as you start to work). Instead, be open and honest about what you can do and what you will learn to do. They will appreciate your candor and eagerness and willingness to pick up and learn new skills. You might mention that you are willing to come in on your own time to shadow more seasoned stylists to learn new skills. - Research what kind of salon you are interviewing at (upscale, mom and pop, chain). Take notice of what kind of clients they cater to. Note what kind of services they offer and compare what skills you have to offer to services offered, so that you can properly answer any questions the interviewer might have about your compatibility with the salon. - Make sure to arrive 10 minutes early (the day before map out how to get to the salon) and take traffic, stops for coffee or gasoline into account. - Select a professional ensemble. Make sure to pay attention to the details of outfit (is it too tight or just right). Get a second opinion of outfit. Make sure that shoes and nails are polished. Limit accessories (ear rings, necklaces, rings). Remember it is easy to underdress and overdressing for an interview is practically unheard of. - Greet with a smile, handshake and introduction of who you are and why you are there. Once the interviewers come, shake their hand and give them a friendly, “pleasure to meet you”. - Remember to be honest about your skill set and tell them why you are a good employee. Remind them that you are eager, passionate and excited to be working with them. Passion goes a long way. 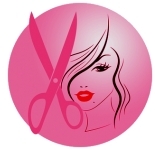 - Save any questions that you might have for the salon (you should always have at least one) until the very end. They are interviewing you, you are not interviewing the salon. If you do strategic research on the salon (find out what their vibe is, who they cater to, what services they offer) and have a well developed portfolio to showcase you will be half way there. Now, if you show up to the interview wearing a professional ensemble (such as a suit or conservative dress) and bring with you a warm smile, firm handshake and passion for the industry there is no reason why the job can’t be yours for the taking!